I doubt that it works under MSWindows due to SQlite not being very windows friendly. If I’m wrong and it does work, please inform me. •Contracts: define custom contract types, like support& maintenance, SLA, etc. Track contract events. 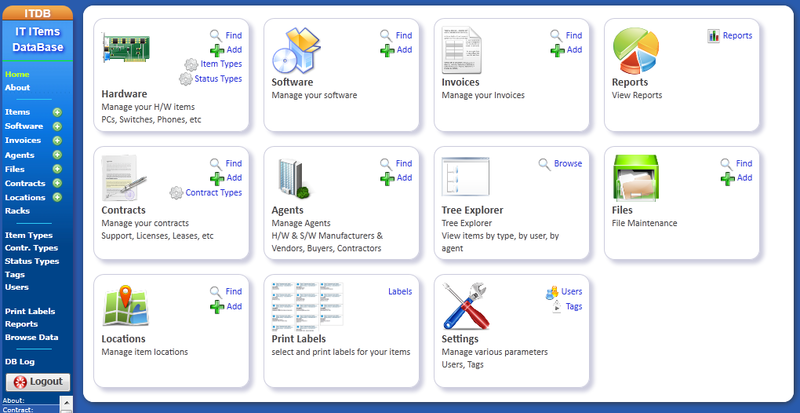 •Tags: multiple tags for items and software. You may use tags for grouping according to usage, budget, owner, importance, etc. •Racks: display rack layout with items assigned to each rack row. (supports multiple items/rackrow). •Print labels: print label stickers for tag all your assets, with or without barcode, from phones and laptops to cooling units and ups. 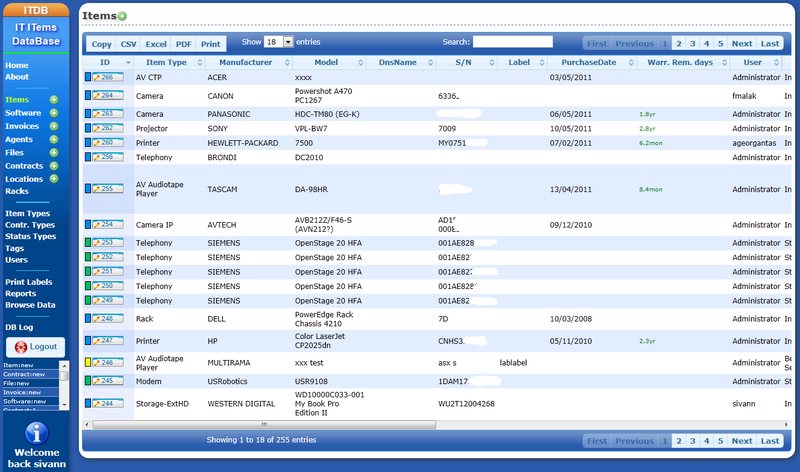 Easily define new label paper layouts through the GUI. •One click backup: get a full backup of the ITDB installation and data in a .tar.gz from the main menu. To restore, just extract the backup file on the web server! •All pages are printable: all screen pages/lists/reports print-out nicely, without menus, scrollbars and other clutter.